LAS VEGAS -- The 2018 NACS Show offered fuel retailers with plenty to consider and put into action, and the timing could not have been better. 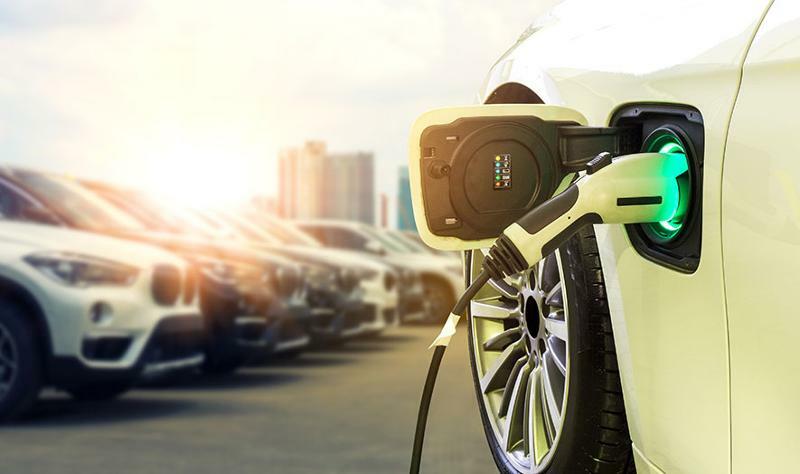 The industry is facing a daunting range of short- and long-term challenges, from regulatory and liability deadlines to the future disruption—and potential opportunity—presented by the rise of electric vehicles (EVs). He suggested that EVs could be a case of “the future being unevenly distributed,” a concept pioneered by science-fiction writer William Gibson. Rural places such as Wyoming, where Armour hails from, may not have much use for an alternative to the internal combustion engine, “but in urban areas, with pollution problems, well, I think they may be coming faster than one thinks,” he said. Just the day before, on the trade-show floor, one of the largest gasoline dispenser equipment manufacturers in the world announced its first foray into electrification. Gilbarco Veeder-Root has made a minority investment in Tritium, an Australian EV charging station manufacturer. 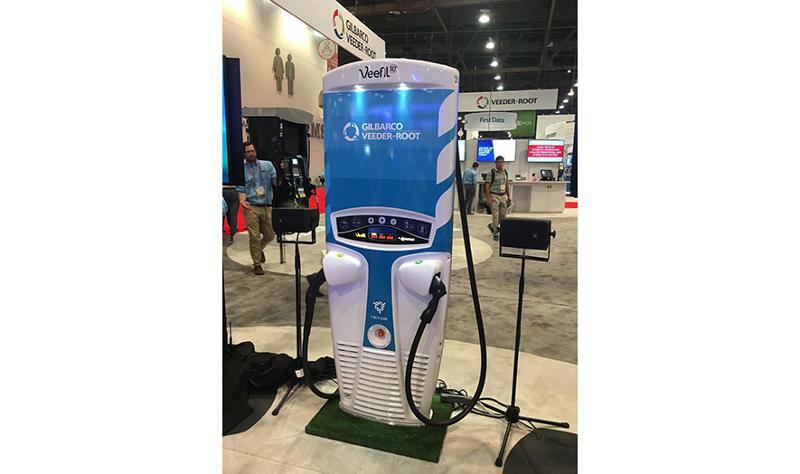 At the show, it unveiled a Gilbarco-branded Veefil-PK DC fast-charging station. Through the partnership, Gilbarco will sell Tritium EV charging products in the United States. At a time when store traffic is pressured, the highly profitable car-wash category is getting a second look from convenience-store retailers who are looking for ways to bring more customers onto their lot. “Adding an in-bay automatic would also give your customers another reason to come in, and for you as an operator, [you would be] able to have more revenue with little to no labor,” said Scott Horner, vice president of operations for c-store chain Terrible Herbst, Paradise, Nev., at a packed-beyond-capacity education session at the NACS Show. The chain has 50 car washes including in-bay automatics, full-service and express sites. 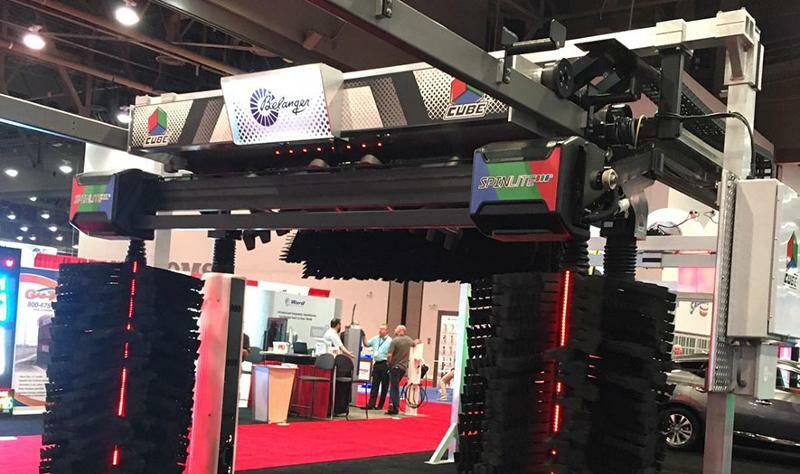 On the show floor, Belanger debuted The Cube tunnel wash, which offers a kinder, gentler friction wash. Belanger’s SpinLite cleaning wheels, equipped with ShineMitt media, spin at one-third the speed of a typical car wash while still providing a thorough cleaning in less time. The consumer perceives a less aggressive, less audible wash, which can help minimize damage claims, the company says. Equipment distributor Source North America is launching Source University, a hands-on training center in Arlington, Texas, which will give retailers a chance to learn about and work with everything from fuel pumps to underground storage tanks. The selection of hardware at the training facility will be “manufacturer-neutral” and reflect many of the major fuel equipment brands. Equipment will also be kept up to date and changed out to reflect any shifts in the market. 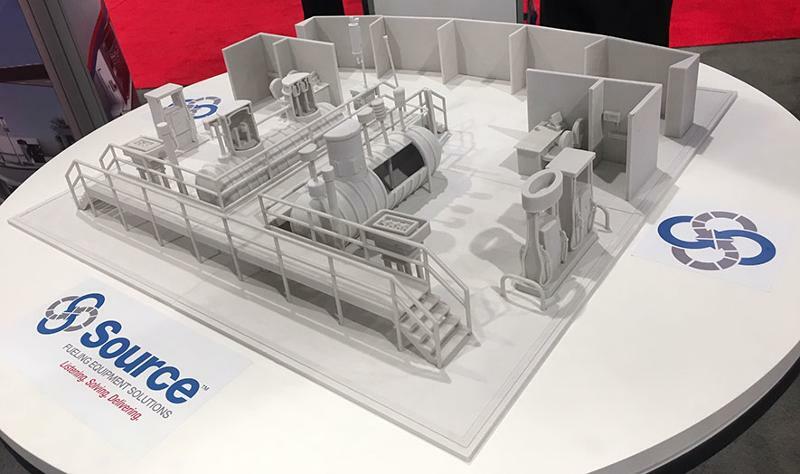 Source North America showed a 3D-printed mockup of the training center at its booth at the NACS Show. 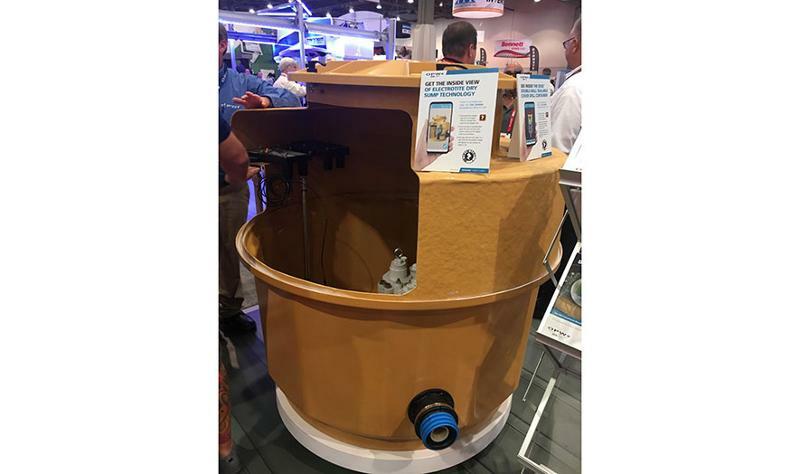 On the show floor, OPW Retailing Fueling debuted its ElectroTite tank sump, which comes factory-installed with the conduit ports and electrical wiring junction box, eliminating what are often leak points on the sump. As retailers race to meet the October 2020 liability shift deadline for pump point-of-sale (POS) systems, the show floor gave them a variety of tech options to choose from. For operators who are trying to meet EMV standards at the pump without making a massive investment in new dispensers, Dover’s Wayne Fueling Solutions showed POS retrofit kits that fit older equipment from different manufacturers, and provide payment security and new payment forms such as contactless readers and 2D scanning. 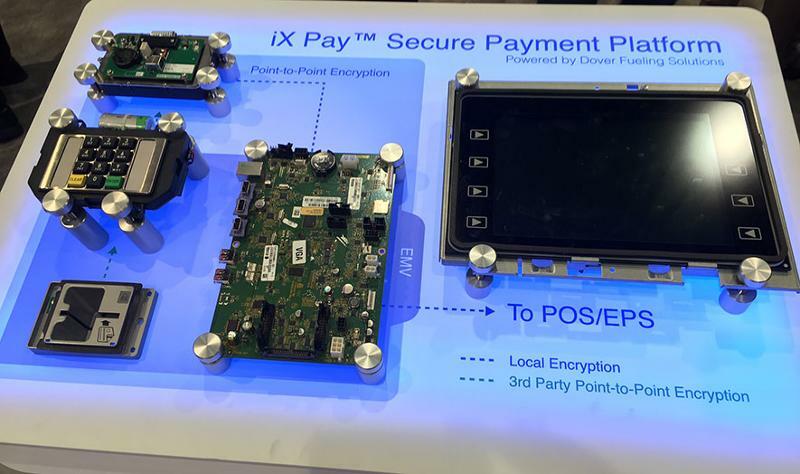 Wayne also featured the iX Pay payment platform, which is designed to prepare retailers for the next stage of payment security: point-to-point encryption. The payment platform is offered with Wayne’s Ovation2 and Helix dispensers. And for small, unbranded operators who are struggling with the large expense of upgrading their POS, Gas Pos debuted its software-as-a-service platform. The system offers EMV-compliant payment processing with no upfront costs; instead, retailers pay a small fee per transaction.